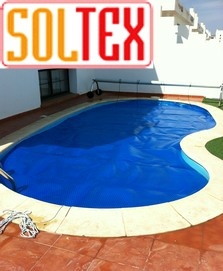 Welcome to Wizard Pools Fuerteventura online. Browse our product range and contact us for any information, quotes or advise you need. We aim to solve all your pool problems quickly and with our trained in house technicians we always look forward to a new challenge! We service and hold spares for all our products on the island. We are sure you find the swimming pool products you need and get even more pleasure out of your pool. We are the dealers for Hotspring spa´s in Fuerteventura with full warranty and technical support. We also offer a range of Hot tubs please contact us for more information on our Hotspring spa range. Is your pool losing water, we can help track down the problem area by leak detection and help you fix your pool so you can enjoy it again. Is your pool pump humming but not to the music you enjoy, pop it in to us for a service, this can save you money buying a new pump before its time. Heat your pool & swim all year round..We also are the distributors for Soltex Australian pool covers to insulate & keep you pool warm working with our titanium heat pumps to suit all pool sizes.